It was a great experience to be part of Worthing and Adur’s Better Business Show earlier this month. The exhibition enjoyed a real buzz throughout the day, and we were always busy talking to people about their digital marketing needs and website design. 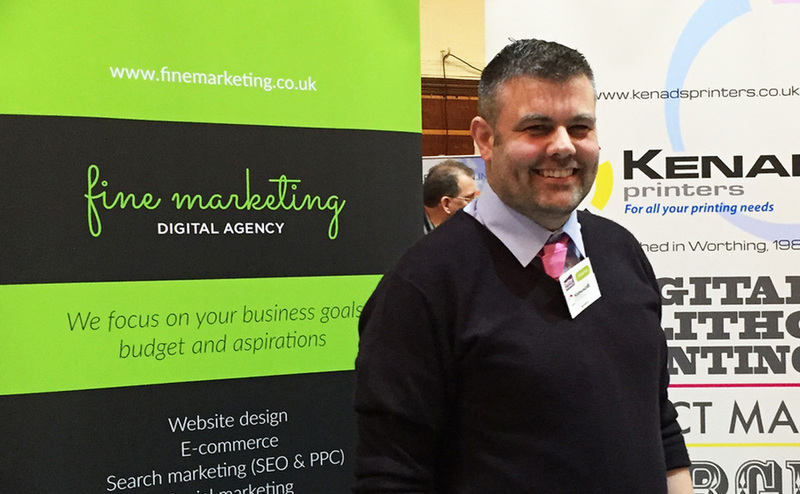 2017 was the first year we had exhibited at the Worthing business show and, not knowing quite what to expect, we were delighted to be joined by our colleagues from Kenads Printers in Worthing. The day was very well organised by the Worthing and Adur Chamber of Commerce whose experienced team did a magnificent job. Hundreds of business people attended, and we found everyone very friendly. Visitors packed in to listen to Keynote Speakers, Gill Fielding, Darren Gearing and Shaa Wasmund, all of whom are very successful entrepreneurs who imparted valuable information to their audiences. On our stand, we welcomed the opportunity to speak to potential new customers and discovered a diverse range of needs within the marketing spectrum. We are still following up a few of our contacts and hope others will become new clients which we can support with our range of digital services. If you did miss us at the Worthing & Adur Business show and would like further information, please contact us on 01403 292 120.